Happy New Year from the whole MiniBrew team! We hope you enjoyed these seasonal holidays with your loved ones and arrived safely as well as relaxed into the new year. 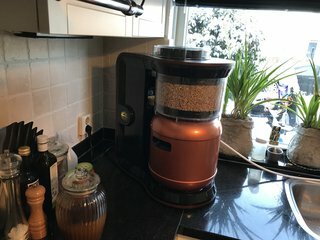 Here we go it's 2018 and therefore we cannot wait until MiniBrew finally hits your kitchen counter! 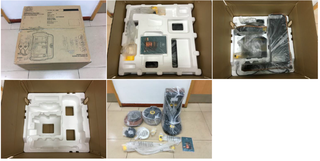 In the meantime, our factory partner in China was working 24/7 on tooling and performing various testing procedures to prepare for the certification processes for the Engineering Build (EB1). (If you cannot recall the different steps until production please see our Update from the 2nd of November 2017). In this test, we focused on the total lifetime of critical components. E.g. the hop motor is used for moving the hops and was therefore tested if it can withstand a certain amount of working hours, turns and weight within critical temperature e.g. 500°C in an oven to test the material strength! The IECEE (System for Conformity Testing and Certification of Electrotechnical Equipment and components) covers the safety and performance of electrical equipment used in the home. To comply with these regulations, we measured e.g. 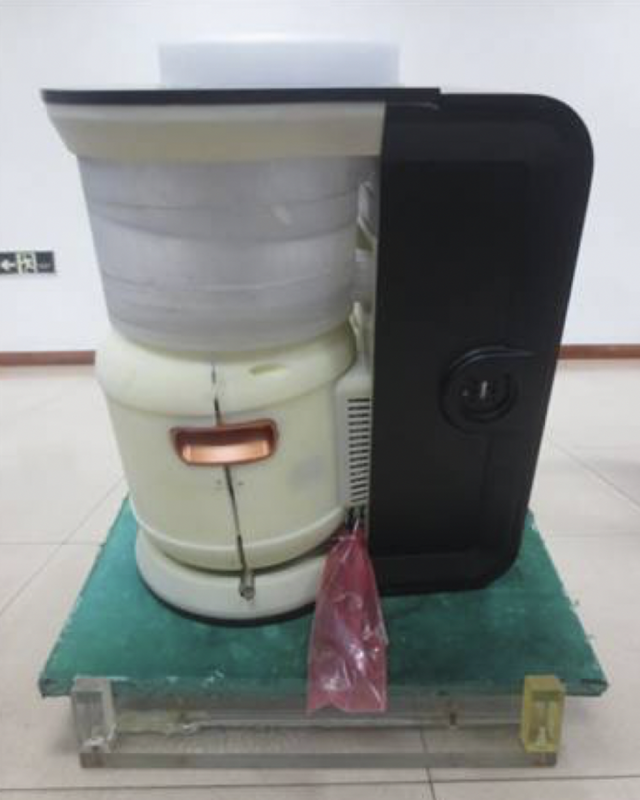 the safety and performance of our heater. In the following set up we were measuring the cooling performance of the keg. Therefore several temperature sensors were inserted in the keg. Afterwards, the keg was filled and then the cooling sequence was started. 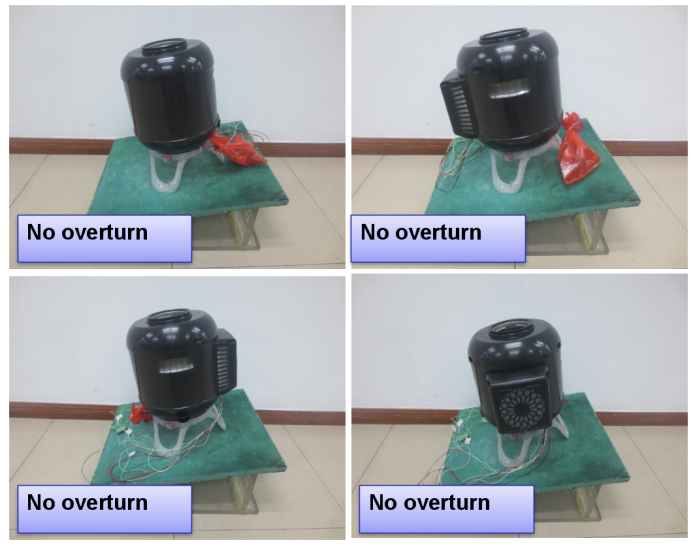 This test was used to determine the ideal control protocol for the cooling unit, e.g. you want to start cooling slow and then ramp up the cooling power. To keep your beer cold and at the ideal temperature for tapping. 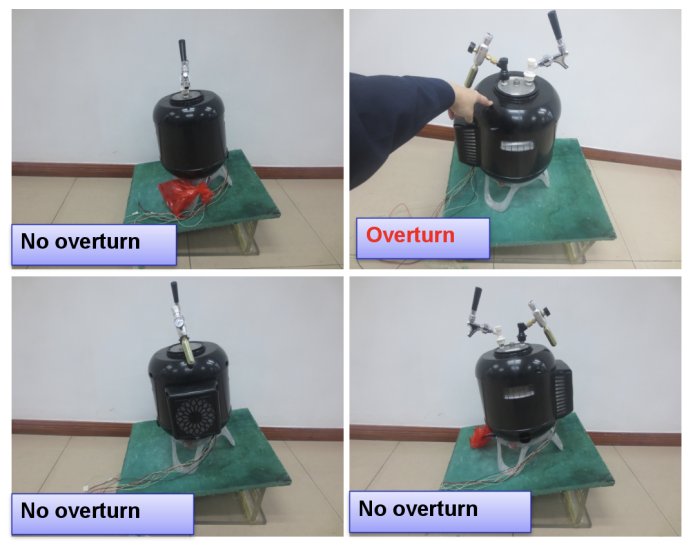 In addition, it also can help to understand the influence of production tolerances on the keg and cooling unit. 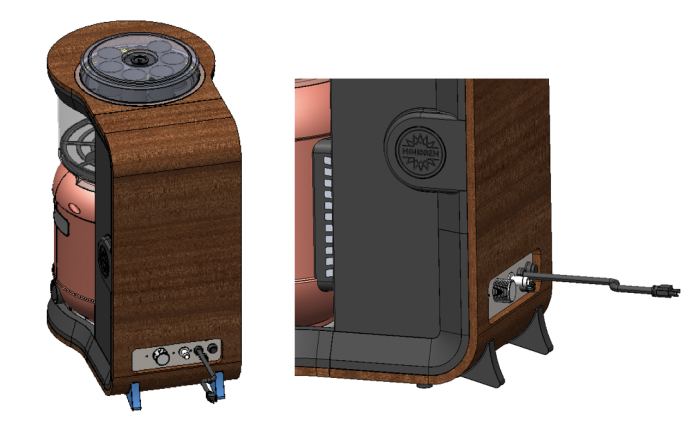 To reach this certification it requires that the product/MiniBrew stands stable up to an angle of 15° sideways, but tilting to the rear it proved to be a bit problematic and thus we added small feet at the back of the machine ensuring the perfect stability and thus passing the test. 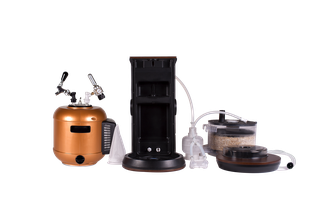 In addition, we also tested the SmartKeg without base station on the redesigned keg stand in empty and filled states. The first tests except for the tapping and fermentation stage were mastered without any overturn - We passed! The second test with tapping & fermentation equipment, as well an empty keg failed since the keg turned over in one of the 4 different angles. See below. A little drawback but our engineering team is already working on a solution. 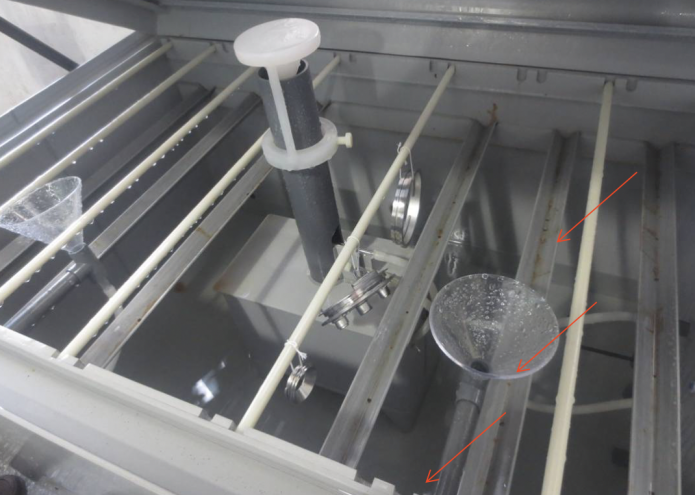 The salt spray test is a standard test that is used to test metal parts for corrosion influences. By using a heated bath with a salt solution you can simulate a very long and intense usage (lifetime) in a fairly small amount of time. In this test, we test the performance of the cooler that’s inside the Minibrew. We use various water inlet pressures, temperatures and flows (as user’s inlet conditions also vary) and check how fast we can cool 6L of wort down from boiling temperature to around 25°C. To recap, there are a lot of tests that are currently performed or still have to be to ensure MiniBrew lifetime functionality and to complies with every certification standard. Since we are shortly receiving the first series out of the OTB (off tool builds) at our office, we are working the next couple of weeks to prepare everything and adapt the testing schedules. In the meantime, Bart just left the office, he will spend another month at our factory and some of the hardware team will also follow soon - all to speed up the production process by working more closely together with our factory partner. 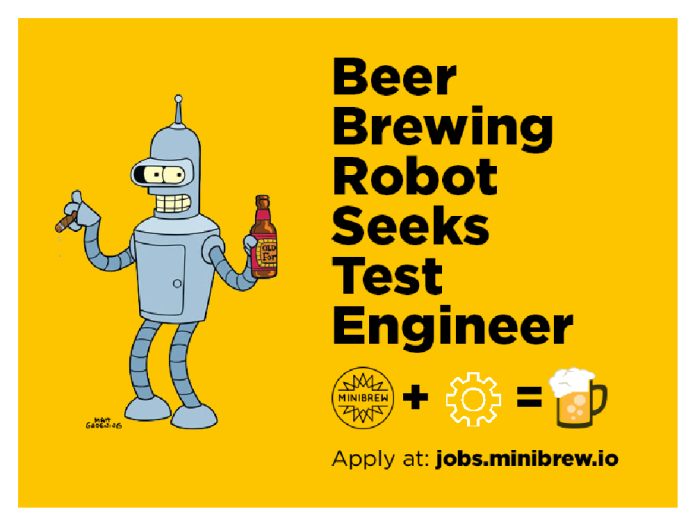 We're looking for a talented test specialist to join the MiniBrew family! This was it for this new years update. Stay thirsty even in this cold winter times. P.S. 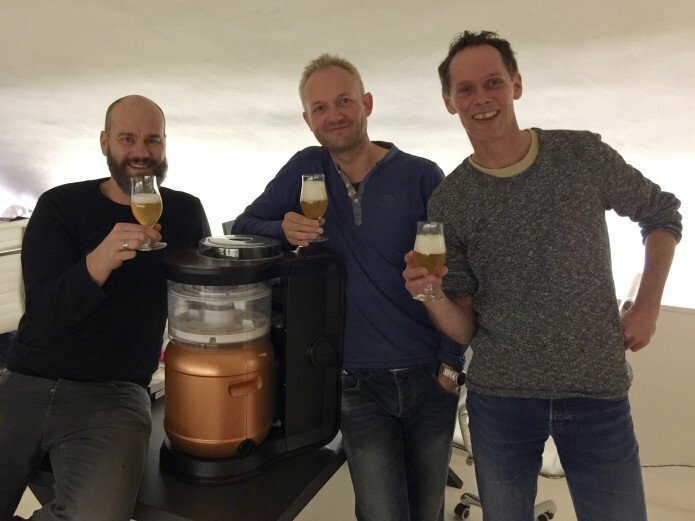 One of our backers from Australia visited our office and looked behind the scenes of MiniBrew. 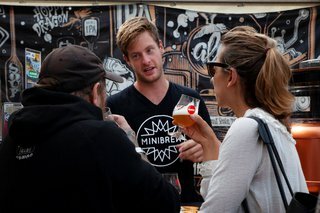 As for him the same for you guys, we are always happy to welcome & meet each one of you - so next time you are in the neighborhood - drop us a pm to hello@minibrew.io.